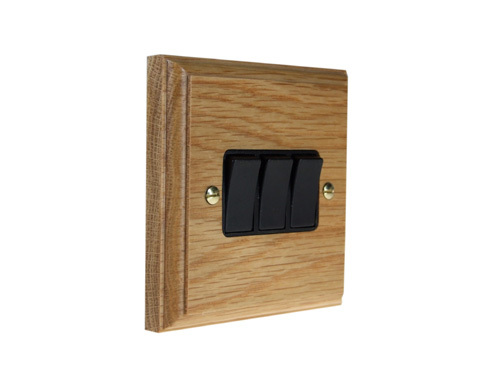 Classic 3Gang 2Way 10Amp Rocker Switch with Black Trim, Manufactured by our craftsman in our workshop the UK from Solid oak with Ovolo Moulding. These beautifully hand finished switches will give a unique distinctive style to any interior. Plate size 96mm x 96mm x 15mm.